Health through the healing power of nature—that's what it means to Trust the Leaf. Cayenne Pepper (Capsicum annuum) fruit is a warming herb that has an invigorating effect. 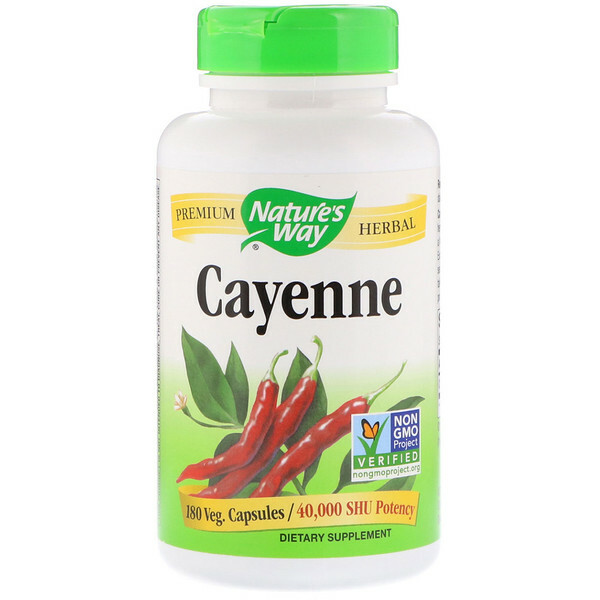 Our Cayenne has a consistent potency of 40,000 S.H.U. (Scoville heat units). Our Cayenne is carefully tested and produced to superior quality standards. 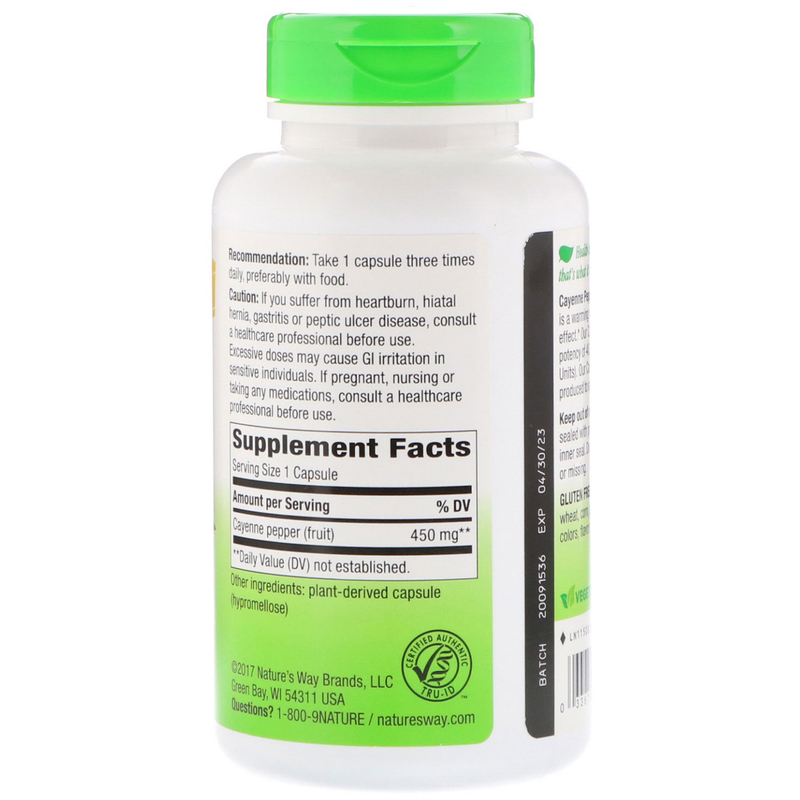 Recommendation: Take 1 capsule three times daily, preferably with food. If you suffer from heartburn, hiatal hernia, gastritis or peptic ulcer disease, consult a healthcare professional before use. Excessive doses may cause GI irritation in sensitive individuals. If pregnant, nursing or taking any medications, consult a healthcare professional before use.